American businesses sometimes lose money. Those losses actually create a tax shelter for other income. While the tax code explicitly provides this incentive for businesses – to encourage investment for growth, and to allow for unpredictable events – losses that go on for too long tend to draw scrutiny from the IRS. If your arts practice loses money for more than a couple years, they may question the legitimacy of the business – specifically, the profit motive. Typically, they reclassify such a business as a hobby, and disallow the artist from expensing deductions past the point of their income from the activity. That’s bad news for any artist, but it was a near nightmare scenario for artist Susan Crile. Crile spent eight years in tax court (from 2005-2013), defending her right to take losses. She is an accomplished artist by any measure. She has had over 50 one-person exhibitions, and her work is represented in dozens of museum collections, including the Guggenheim, the Metropolitan Museum of Art, The Hirshhorn, and the Cleveland Museum of Art. She is also a tenured professor of art at Hunter College. However, despite this decades-long professional history, the IRS threatened to reclassify her art as a hobby, disallow her losses, and force her to pay over $80,000. 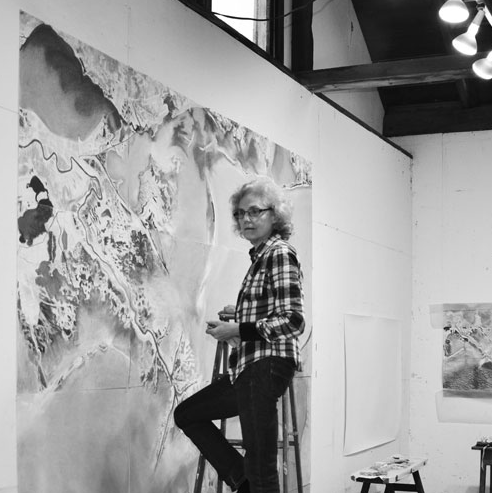 In the end, Susan Crile won on the question of being considered a professional artist, and the precedent that her case set is that her day job was clearly judged to be a separate profession—not the reason for her art. But the judge did not rule on the allowability of her large deductions—that piece was sent to a settlement, and not all of the deductions were allowed. In this interview, we discuss how she proved her case, what it took, and what she recommends for artists in a similar position. Hannah Cole: First I wanted to thank you for putting yourself through what you have. You set a precedent that really helps other artists. Susan Crile: I’m still recovering from it! I was very lucky that the law firm Cravath Swaine & Moore took it on pro bono, but my accounting was not taken care of pro bono. So I’m still getting my feet back from that.